As technology progresses, so does the variety of battery powered and electrical toys that are available to entice your children! These can be great fun, and can be anything from a small button instrument like a toy calculator to gizmos with bright lights and music, and not forgetting remote control toys, toy electric cars and ride on vehicles built to make every parent nervous as their offspring charges around on them. What Are The Safety Issues With Electrical Toys? Power-wise, electrical toys must not be powered by electricity which exceeds 24 volts. This rule mainly applies to electrical toys which use an adaptor into the mains, like train sets and car racing sets. Always check the information provided by the manufacturer when you’re setting up electrical toys like these. Only use transformers and adapters which are provided by the manufacturer with the toy, so that you can make sure you are using the correct equipment when you’re setting up and playing with electrical toys. What Should I be Aware Of When Using Battery Powered Toys? For toys operated by batteries, whether they are remote control toys, hand held electrical toys or similar, you need to make sure that you’re using the right batteries for the toy. 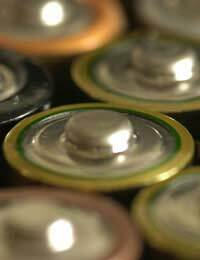 If you use the wrong type of toy battery it can cause all sorts of problems. You also need to make sure that you don’t mix old and new toy batteries in any battery powered toys, or even put them in the wrong way around. Although in most cases all this will do is stop the battery powered toy from doing anything whatsoever, it can actually damage the toy too. If you want to use rechargeable batteries in your battery powered toy, you can often do this but you should ask for advice because this will depend on the number of batteries you need to power the toy. Broadly speaking, the voltage of a rechargeable battery is slightly lower than that of a normal battery, and while you probably wouldn’t notice too much difference on an electrical toy which needed one or two batteries, when you start using toys with four or six batteries, the voltage difference can be high enough to cause restricted use, and mean that you think the toy is faulty when in fact it’s fine. It’s great to see the kids faces as they zoom around on their toy electric cars or play contentedly with remote control toys, but keep an eye on the fun and you can make sure that no harm comes to any of your brood. Check all electrical toys, battery powered toys and remote control toys on a regular basis to make sure that the toy batteries haven’t leaked (if the toy is battery powered.) Toy batteries which leak can cause nasty burns. Check all electrical toys to make sure that they are safe, haven’t been broken or damaged, and are well constructed. The last thing you want is for your child to get a shock or a burn from one of his or her favourite electrical toys! What About Buying Electrical Toys Second Hand? Avoid buying any second hand electrical toys unless they are from a reputable dealer, and even then, you should be wary. Older toys may not be CE Marked, which could mean they don’t conform to current safety standards. You should never buy electrical or battery powered toys from a car boot sale or similar. You won’t know if the toys have been looked after, and you’ll have no comeback if the toy doesn’t work – or worse, hurts your child.